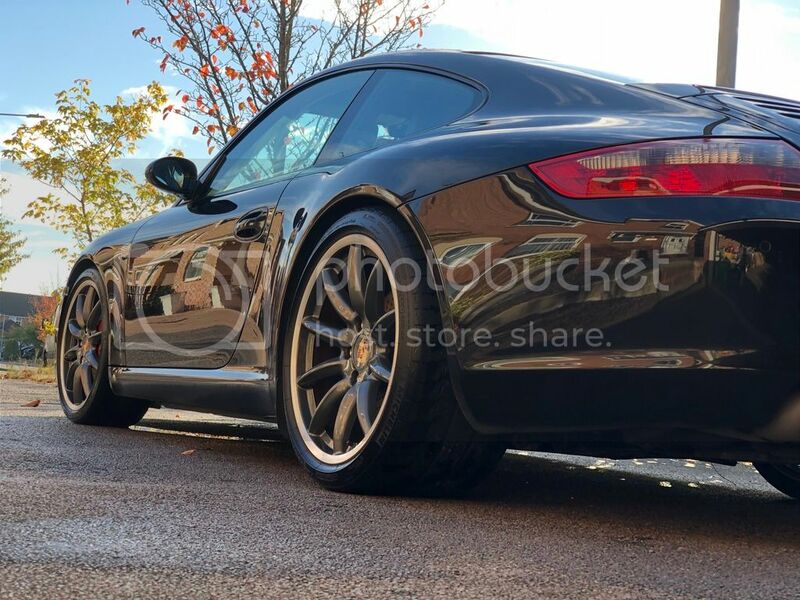 911uk.com - Porsche Forum : View topic - Wide body alloys on narrow body - it works !! 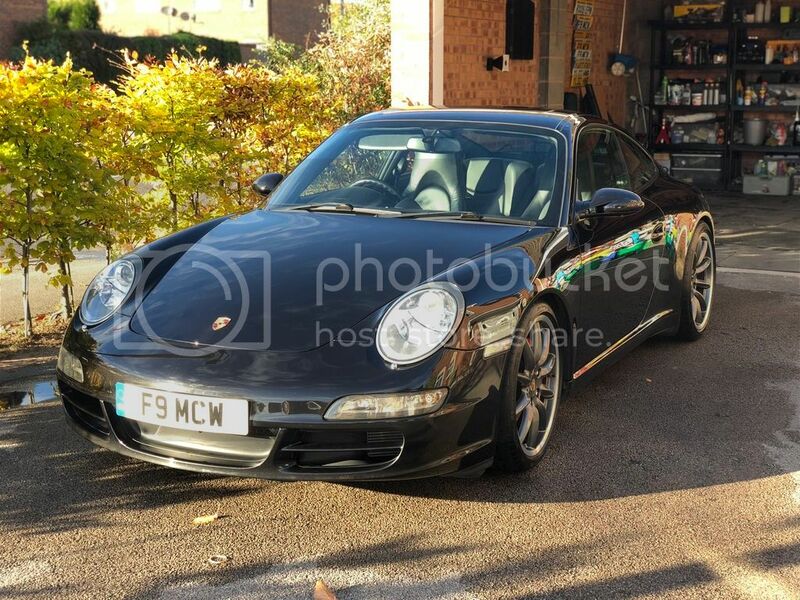 911uk.com Forum Index > 997 (2004 - 2012) > Wide body alloys on narrow body - it works !! 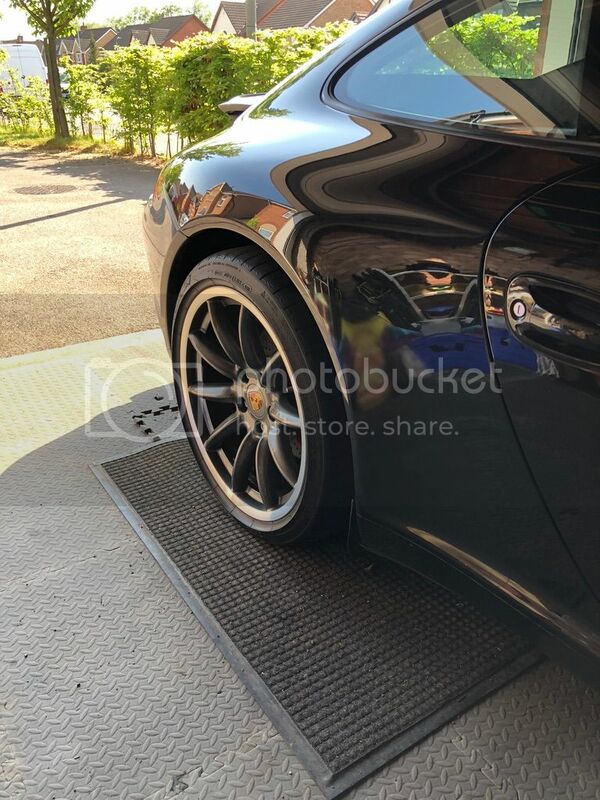 Posted: Sun Oct 21, 2018 3:59 pm Post subject: Wide body alloys on narrow body - it works !! I couldn't be happier with how they've turned out, and the ride is superb. I've read hundreds of reviews regarding the springs and I was expecting a harsher ride, kind of in between standard and sport pasm. I actually think the ride is more compliant, yes, stiffer than standard but it feels more solid and more planted. Love it. My favourite 997 wheels. It seems like the general conclusion is that at std ride height they didn't sit right, but with it lowered it does just enough to make them the perfect fit. looks good and your explanation is exactilly why some say you can and others say you cant , the lowering springs pull the top camber in a bit so they dont stick out as much. Huba ! What drop did you go ? 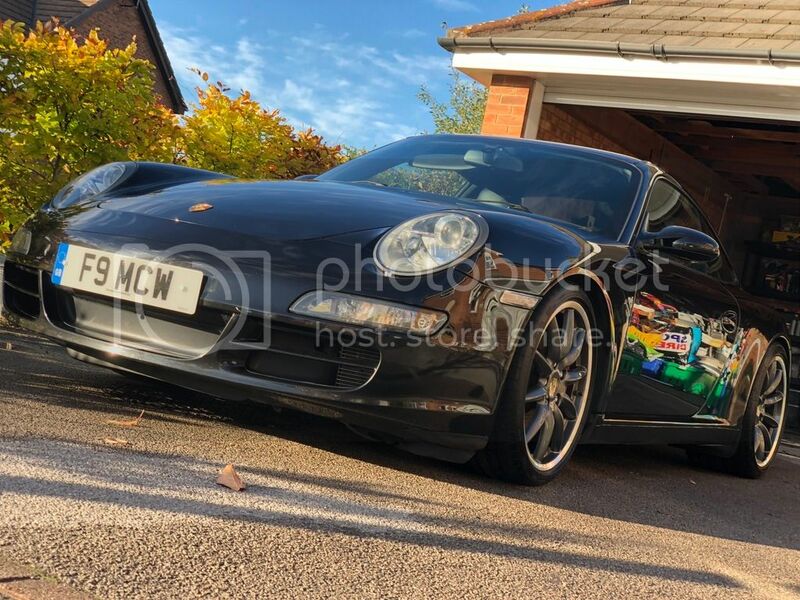 I went -15 just right IMO, but would like to find 997 Porsche chassis options hitch is -10 , may ring OPC and have a chuckle, this was a no cost option on S cars. Wow, those wheels are so bloody nice!!!! I agree with your comments on the springs, fitting them to mine improved the ride and certainly made the front end less 'bobby'.. They look awesome! 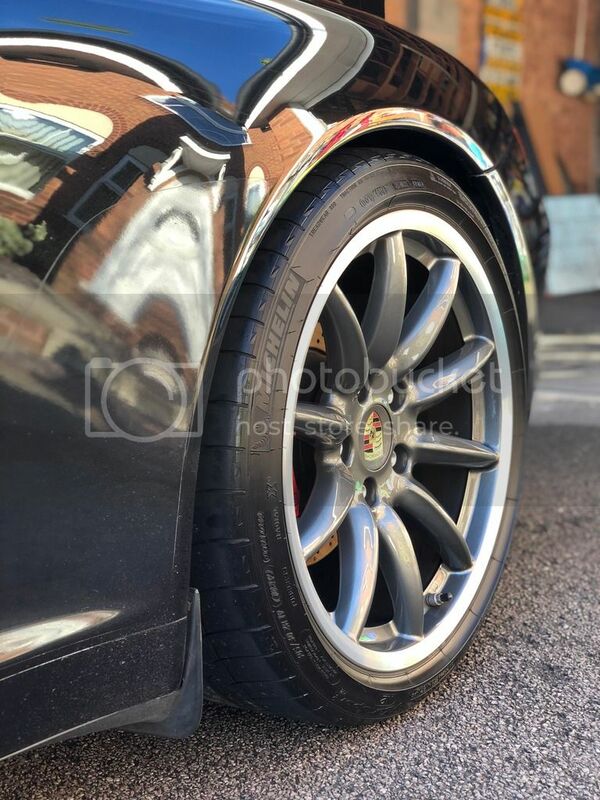 My favourite 997 wheel by far (don’t tell my sport designs though!). Photo of the whole car maybe? GT silver looks good on Carrera Sport spokes. Tends to look darker on the wheels than on a car. Anything darker than a bright silver would probably work. That’s bob on fair play. More pics you say ? I've got hundreds !! Ref the colour, its Porsche anthracite. Not sure what the exact code is but Chris at ExelWheels refurbed and sprayed them for me. GT Silver on the spokes and diamond turned rim is the original std colour and finish for Carrera Sports. Looks awesome - this post may well have reversed my decision not to lower! Is your car pasm?